If you’re looking at enjoying a Georgian Bay retirement, you might be thinking about Thornbury. Thornbury’s a great place and we’d never want to dis it, but the other day we were thinking about it. 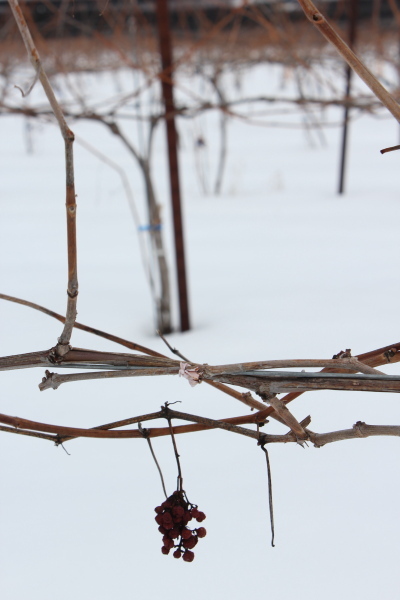 We realized that Meaford offers a lot of things that make it a better retirement choice. Here are our four great reasons to choose a Meaford retirement community. Meaford has a real hidden gem right in town. Memorial Park offers parks, trails, camping, and a beautiful sandy beach. We say hidden, because it’s hidden from the town proper. Thornbury does have some beautiful little areas of waterfront and beach access, but unless you’re willing to drive or cycle a few kilometres, nearby houses and roads make you feel like you’re in the middle of town. 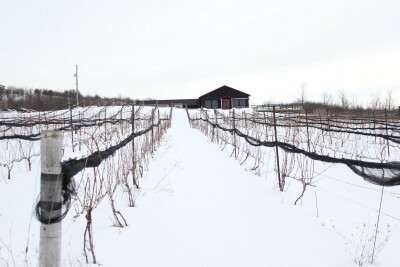 While both Thornbury and Meaford are pretty much between the two larger communities in the area – Owen Sound and Collingwood – in recent years Thornbury has, understandably, oriented more toward Collingwood… and all that entails. More crowding. The weekender rush. It can be exciting, but just 10 minutes down the road, your Meaford retirement neighbourhood retains a more homey small town feel. You’re also that much closer to all the additional attractions up the Bruce Peninsula. A Thornbury retirement is going to be a bit more expensive. The pressures moving west from Collingwood and Blue Mountain development have pushed house and condo prices up. But you can still get a bargain in Meaford! Just ask us about it. As Meaford Haven moves ahead in finding and evaluating builders for this unique small town Ontario retirement community, North East Grey Health Clinic is moving full-steam ahead on plans to have Meaford’s new health clinic in operation. Last fall, Desmond von Teichman told Meaford Council that the need for new doctors in Meaford means it’s important to build the $2.1 million clinic sooner than originally planned. A Meaford property owner has donated land next door to Meaford Haven for the 6,000 square foot clinic, which will be able to accommodate four doctors and a physiotherapist. In addition to the clinic, Meaford Haven’s plans include a commercial block which will be aimed at offering additional space for health and medical practitioners and suppliers. For its modest size, the Meaford Museum boasts a remarkable collection, and next week, you can learn how it acquires and manages these remnants and reminders of historical Meaford. The Meaford Library hosts a talk by Museum Curator Pam Woolner next Tuesday at 2 p.m.
Pam will discuss how the museum sources and acquires artifacts for the museum; how staff researches and catalogues the artifacts, and the challenges such a small museum faces in taking care of a growing and changing collection. Space is limited, so call or email to register soon. (It’s free.) 519.538.1060 (ext 1123) or email lori@meafordlibrary.on.ca. If this talk interests you, you may also be interested in volunteering at the Museum. It’s a great way to get involved in the community, and the historical insight you gain through spending time there will give you a real sense of this beautiful small town – not to mention arming you with a bunch of cocktail party conversation starters. Just don’t worry about the ghost of the museum. Now, we love Owen Sound. After all, this small city just 20 minutes from Meaford Haven offers a wealth of culture, dining, shopping, outdoor activities, golf, boating, fishing and… we could go on. We just think that Meaford is better. In Meaford, you can be in Owen Sound in the time it takes to put on a kettle and brew a pot of tea. But you also have more intimate access to Georgian Bay, which embraces a large part of the town; you’re in the centre of a golfer’s paradise, with Lora Bay less than 10 minutes down the road, and many more courses to the East; you’re nicely situated between the larger centres of both Owen Sound and Collingwood, so you can take your choice; and you’re closer to Blue Mountain Resort, the Village and all it offers. That’s to name just a few things. Meanwhile, you get all this while enjoying the quiet setting of a true small town Ontario retirement community. Having said that, we do want to point out that the Owen Sound (which means Meaford) area has been recognized by MSN.com as Canada’s top retirement location. Among the reasons cited are “great access to boating and fishing”, affordable homes, and proximity to Toronto. They also mention that it’s home to the Springfest 55+ Games (for ages 55 plus). 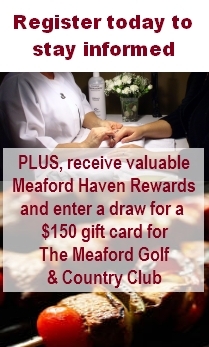 Our secret tip: get access to all that while living in a better location and environment at Meaford Haven.